I'm thrilled to share another Local Gems post today (be sure to check out the Medford, Beacon Hill, and Lexington features)! Today's Back Bay recommendations come from my friend Laura Tomasetti of 360PR. Laura's is one of the first agencies I interfaced with when I started blogging and she is both a delightful person socially and a true visionary in her field. (I also completely credit Laura for getting me onto Twitter!) Laura has a delightful daughter and is a longtime Back Bay dweller; thanks for sharing these recs, Laura! I love city living, even more so as a mom. Boston makes it easy, with so many fun places to stroll into, with or without the kids. Here’s a list of some of my favorites in Back Bay -- some true independents, some small New England chains worthy of your support. 1. L.A. Burdick. If the kids are in tow, or you’re just trying to satisfy a craving for chocolate, the hot chocolate at L.A. Burdick – offered in white, milk and dark varieties – is divine. Since my favorite Back Bay coffee spot recently closed (L’Aroma, still open in West Newton), I’ve been enjoying the café latte and tea options at L.A. Burdick, too. 2. Esplanade Play Space. City playgrounds have gotten a whole lot better than when we were kids. 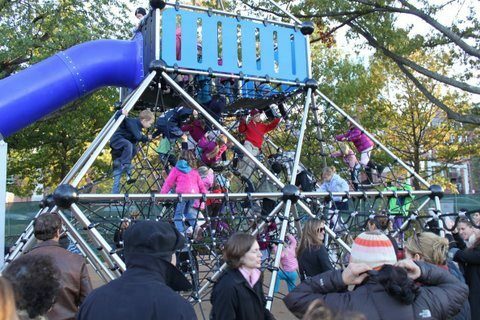 The Esplanade Play Space is really quite extraordinary, offering climbing, ziplining, and other activities for all ages. My 9-year-old hasn’t outgrown it yet! 3. Clarendon Street Playground. For younger kids, Clarendon Street Playground is “just right” and a nice, shady respite perfect for summer days. 4. Kitchenwares. Kitchenwares packs more onto its shelves than I ever could – and I’m glad, because I always find what I’m looking for there. My latest purchase was a folding griddle to make pancakes and…bacon! Blackstones of Beacon Hill proprietor Jennifer Hill opened Kitchenwares with her culinary-talented husband and the duo really know their kitchen wares! 5. Small Pleasures. 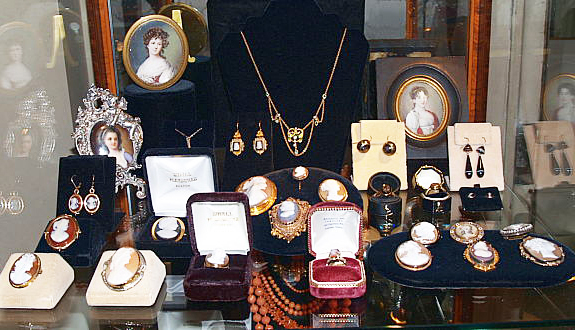 Small Pleasures is a boutique jeweler where you’ll want to spend some serious browsing time, especially if you have a big birthday or anniversary coming up! Though the space is small, they pack a lot in and I love their taste (which leans art deco and antique) and their personal service. 6. Lauren’s Nails. Ready for your spring manicure? Lauren's Nails on Newbury Street is your best bet, hands down. For $40 (cash, there’s a slight up-charge if you use a credit card but it’s still well worth it), you’ll get a mani, pedi, and 10-minute massage. And the technicians are all highly skilled. If you want Lauren herself, take the reasonable walk from Back Bay over to Beacon Hill and you’ll find the original Lauren’s Nails about mid-way down Charles Street. 7. Copley Farmer’s Market. 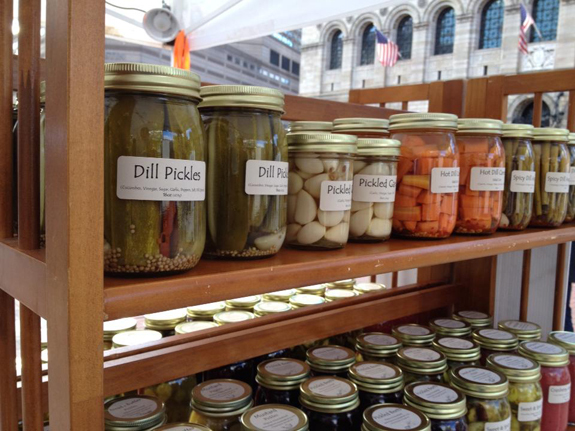 Grab fresh produce, cheeses, breads and seafood to go at the Copley Farmer's Market, on Tuesday’s and Friday’s right in front of Trinity Church. 8. b. good. 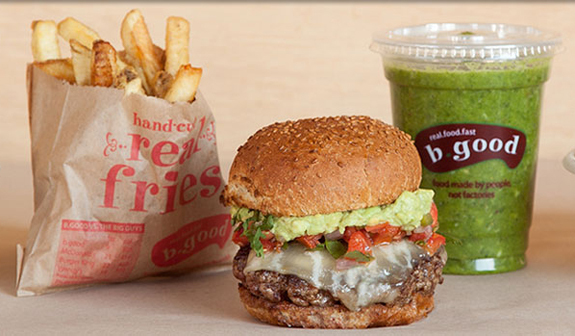 We love New England family-friendly burger joint b. good, which uses locally sourced beef, poultry, and produce, and serves a mighty-tasty shake and fries to go with that juicy burger (vegetarian option available). 9. Casa Romero. 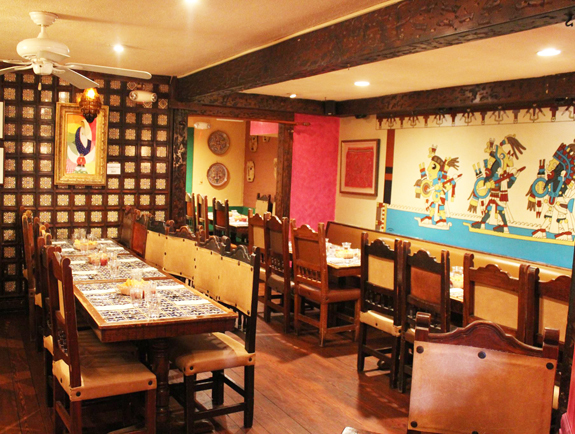 For a grown-up night out on the romantic side, make a reservation at Casa Romero for the most authentic Mexican food in the city served in charming stucco and tiled rooms, with a patio for the nice weather. The sangria is tops! 10. Bistro du Midi. 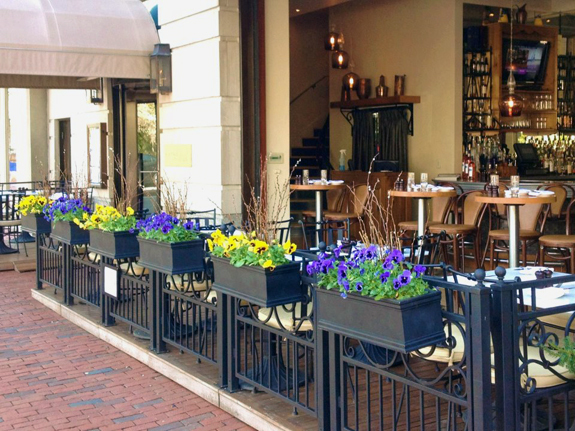 For authentic French bistro fare, overlooking the Public Garden to boot, Bistro du Midi is a real treat. They have a lighter fare menu available downstairs, where the talented bartenders will muddle-up a cocktail with fresh basil for you. C’est magnifique! 11. Finale. For dessert, there’s no place like Finale. With the overhead mirror, you can watch the pastry chefs burnish the crème brulee just before you dive in. 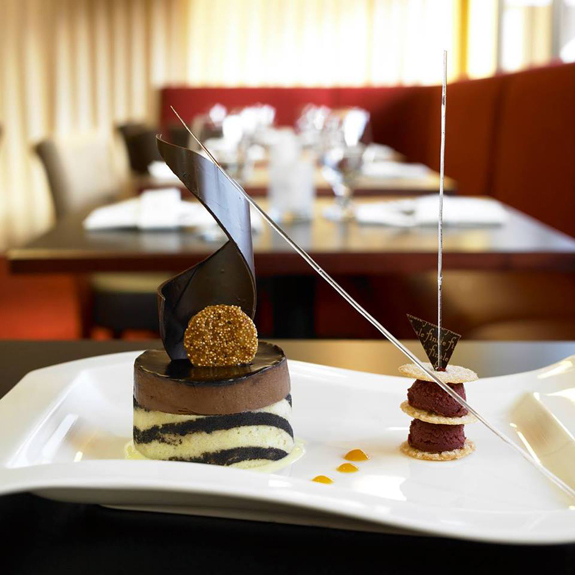 They have more than a dozen decadent desserts to choose from, coffee drinks, port, and a light dinner menu that’s just enough to leave room for dessert. 12. Sweet Cupcakes. For your cupcake fix, head to Sweet Cupcakes. Everyone raves about Georgetown Cupcakes on Newbury (and they’re pretty amazing), but Sweet is just as amazing -- and maybe more so, since it’s a Boston original! Do you have other Back Bay gems you love? Feel free to share in the comments below! 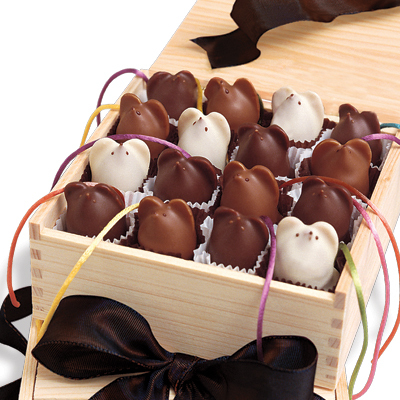 And if you want to pen a Local Gems guest post, contact Christine at editor@bostonmamas.com to check on availability. Image credits: all images sourced from linked business websites and Facebook pages. Thumbnail image also by Sweet Cupcakes.